Imagine this, you’re out running errands when you start to see the warning signs; tense posture, whining, heavy breathing, tears. There’s a storm brewing, aka toddler tantrums, and you’re not going to make it back to the car in time. Next thing you know, your kid has launched into a full-blown (and very public) meltdown. The terrible twos have struck again! It’s enough to test the patience of any parent. Don’t let your kid drag you over the emotional cliff with them. If you’re wondering how to cope with toddler tantrums, we’ve got some clever tactics to help smooth over a meltdown and keep your sanity intact. But first, before we tell you what child psychologist say you should do, here’s what they say you should’t do when it comes to toddler tantrums. When your little one goes off the rails, it’s easy to resort to threats of punishment to try and nip it in the bud. 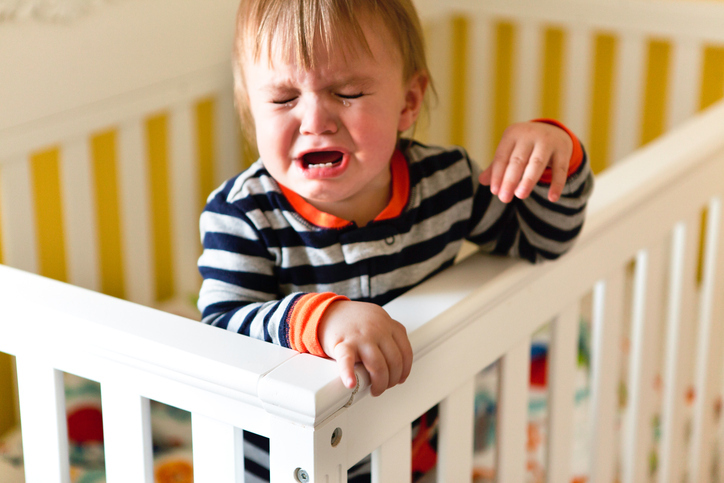 Here’s why that’s not the best way to handle toddler tantrums. When you threaten your child with things like a spanking, or walking out of the store and leaving them, think about the message you’re sending. You’re basically saying “I’m not interested in why you’re having a meltdown. I’m simply pulling rank because I’m bigger than you”. Using fear to control behavior teaches children that love has conditions. If your child does what you want, they get love. If your child doesn’t, you withhold it and punish them. Intermingling love and approval can severely damage a child’s self-esteem. Threatening abandonment or physical punishment traumatizes young children and erodes trust. Your child may start to fear the person that is supposed to be their protector, mainly you. So looking at it through this new lens, punishment doesn’t look like such a solid choice for dealing with toddler tantrums. So what about offering a reward? You might be tempted to promise ice cream or iPad time as a way of dealing with tantrums. The problem with the reward approach is that it sends your child the message that severe temper tantrums are an effective way to manipulate you into getting what they want. So guess what? You might be inadvertently setting yourself up for even more toddler tantrums in the future! Probably not the outcome you were hoping for. If your child is acting out, rather than using fear or reward to stop the behavior, we suggest trying a third more positive option recommended by child therapists. Try the connection method instead! The first step of connecting is to accept that your child’s emotions and feelings are both real and valid. Kids can feel anger, sadness, and frustration just as much as any adult can, and they feel it just as intensely. Once you recognize this, you can approach your child from a place of guidance, rather than getting caught up in a low-drama power struggle. With empathy and validation comes connection. An upset toddler throwing a temper tantrum is trying to tell you something through their behavior. They just don’t have the language skills necessary to express it. If you approach your toddler in a way that honors their feelings, they’ll know you’re listening to what they’re trying to say. Try to figure out what your child is really trying to say with their whining and crying. Something is setting them off, don’t dismiss their emotions. See if you can figure out what triggered them. Let your child know you’re listening and don’t cut them off when they’re talking. Get down on their level and look them in the eye. Oftentimes if children feel like they have your full attention, the toddler tantrums will die down. After your child is done talking, repeat back what you heard them say to show that you were listening. Validation isn’t the same as agreeing, it just means you heard their side of the story. Try to pinpoint the emotion your child is feeling and put a name to it to help comfort them. If you get the emotion wrong, that’s okay. Your child will likely correct you. The point is to show them you’re trying to understand where they’re coming from. Once your child’s feelings have been validated, they will likely calm down a bit. The questions will make them think, which brings them back into their head and out of the emotional distress state that causes toddler tantrums. The next time your child veers into tantrum territory, try taking the connection approach. It may not work immediately, but your child will at least know they’ve been heard. They’ll also know you love them, even if they are driving you nuts. 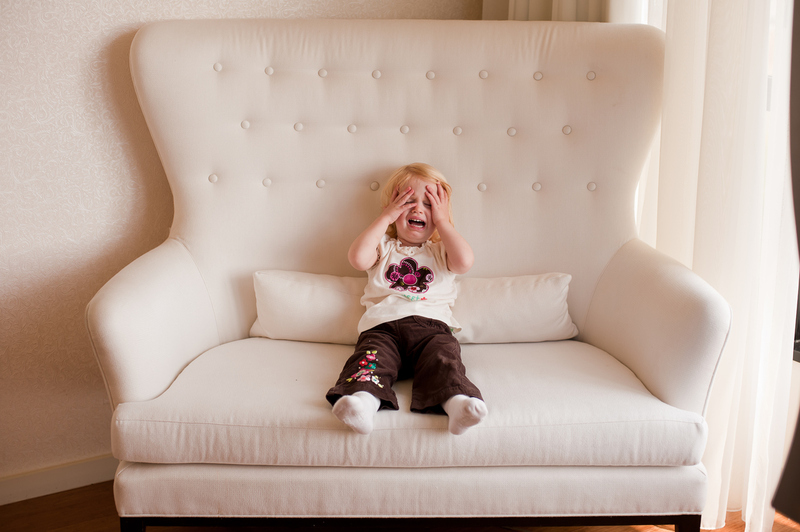 Toddler tantrums usually aren’t cause for serious concern. This phase generally ends on its own as your child finds more sophisticated ways to express their emotions. As kids get older, they gain more self-control. Which means they learn to cope with frustration better. But if your child continues to have frequent intense emotional outbursts, it’s possible a sensory processing disorder (SPD) or other issue may be involved. Talk to your doctor or health care provider. On a side note, this 4-step method also works well on adults that are pitching a fit. If a co-worker starts throwing a temper tantrum at the office… try to listen, validate, talk feelings, and ask questions. You might be surprised at how well it works on grown-ups too. SHARE how to deal with toddler tantrums on Facebook and Pinterest by clicking the buttons below.